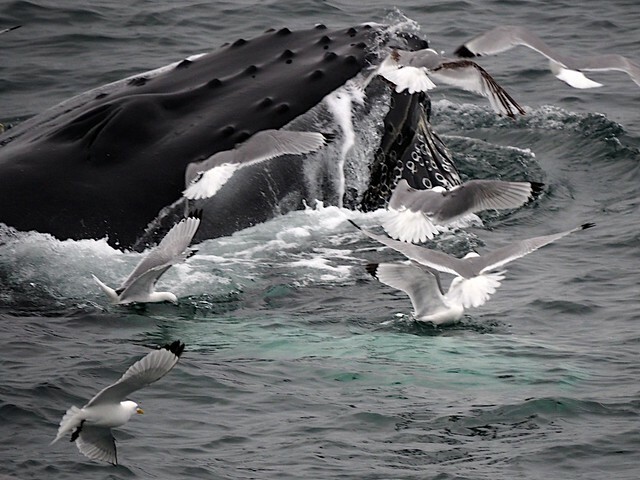 A humpback whale followed by kittiwakes that were sharing the krill brought up as he fed. 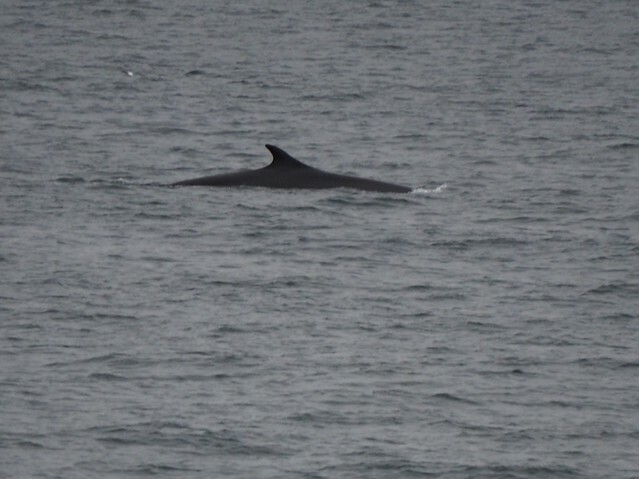 Fin whales have a larger fin than the blue whales that we also saw. 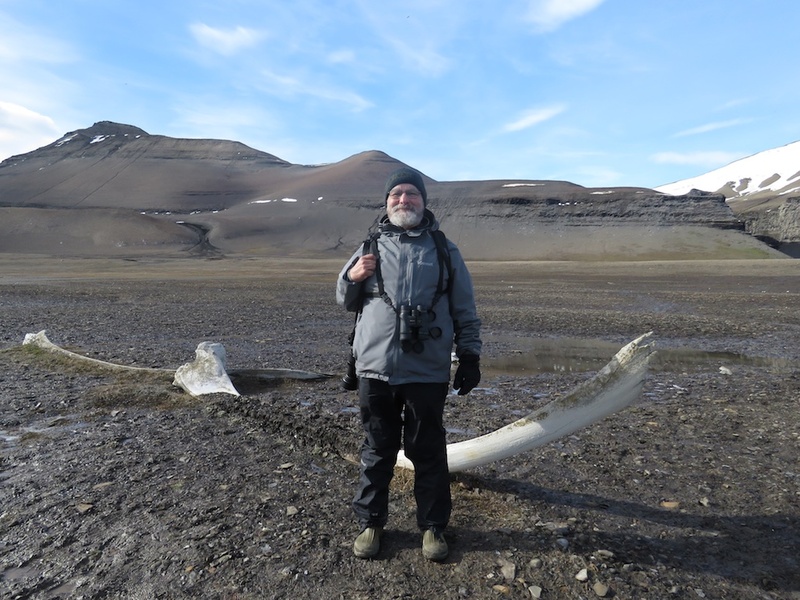 The blue whale is the largest mammal ever known; the fin whale comes in second. 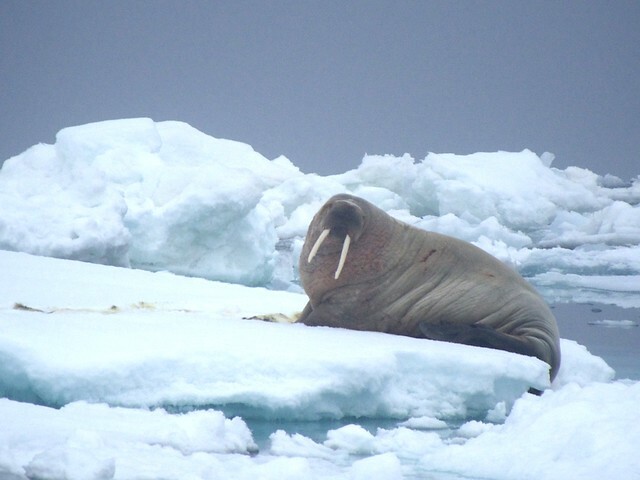 A walrus on the ice. 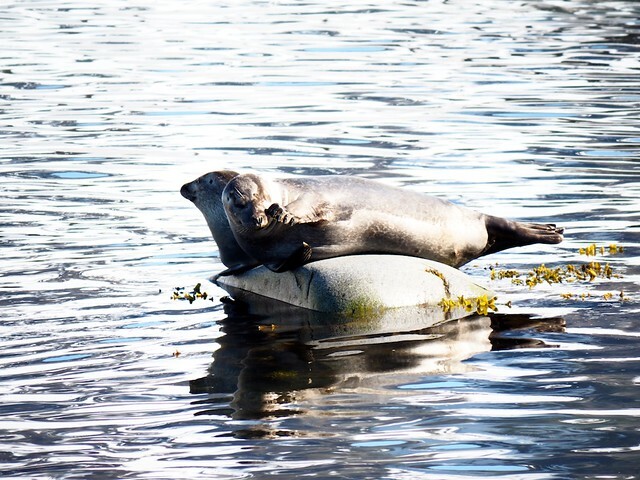 Harbor seals. We also saw bearded seals on the ice. 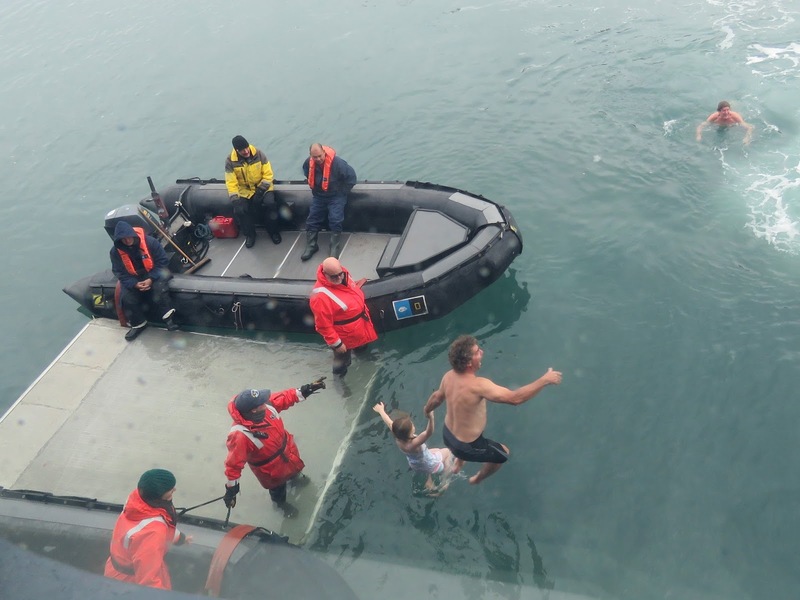 Three passengers doing the "Polar Plunge." On the boat in yellow is the ship's doctor, ready for any emergency. On the platform next to the Zodiac boat: the ship's scuba diver Carlos. Unfortunately Carlos had a equipment failure so there were no dives from our ship this trip. Don't forget that the polar bear is also a marine mammal, as it's a fantastic long distance swimmer. We didn't see any swimming polar bears. 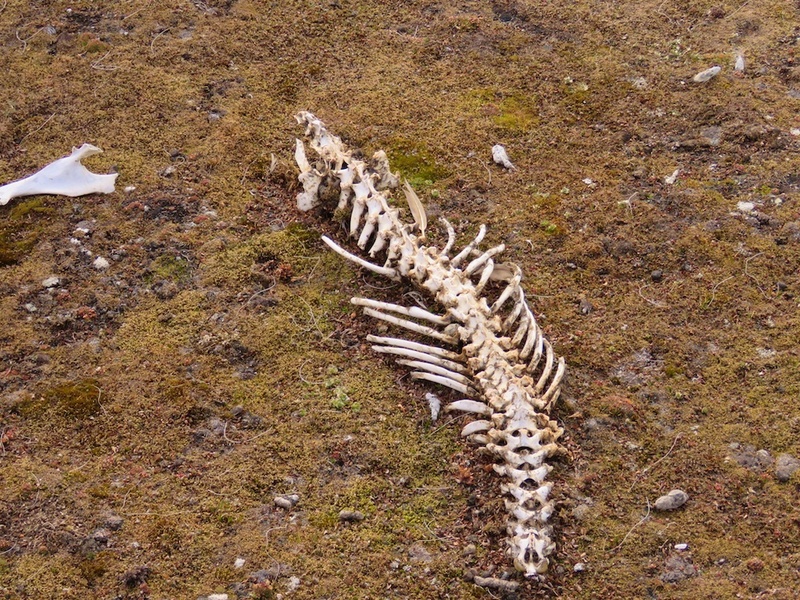 Walking on the tundra near shore we often saw the bones of marine mammals that had been washed up or perhaps dragged by polar bears, which enjoy a rare treat when they find a beached whale. Whale bones with Len for scale. This -- the marine mammals -- and the polar bears would be why I would want to be on this ship. I love marine mammals and to see them in their own habitat would be breathtaking.